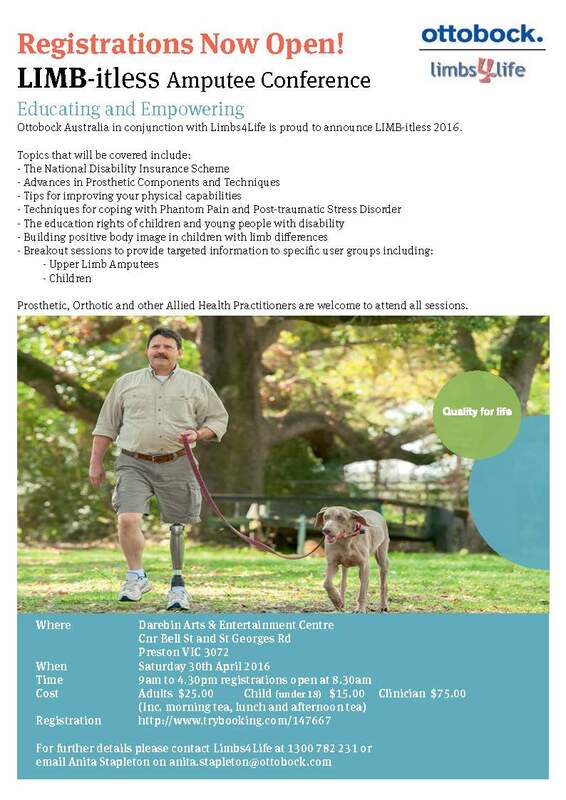 Limbs 4 Life, in conjunction with Ottobock, is hosting the ‘LIMB-itless’ Amputee Conference in Melbourne on Saturday 30 April 2016. This conference will include presentations designed to be educative and empowering for attendees. 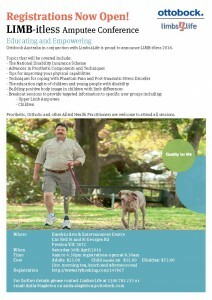 The presentations, to be delivered by experts in relevant fields, will cover areas such as: the NDIS; developing self-advocacy skills and confidence; prosthetics; physiotherapy; pain management; mobility; and, body image. Children with Disability Australia will be conducting a presentation on ‘The education rights of children and young people with disability’ and Dr Tatangelo will present on ‘Building positive body image in children with limb differences’. Videos of all sessions will be made available online for those who can’t attend the conference.